If any room is the heart of your home, that room is the kitchen. This is the area in which you and your family gather after a long day at work and school to share a meal. Your kitchen is also integral to every time that you have guests over to your residence and for all your holiday meals and special occasions. 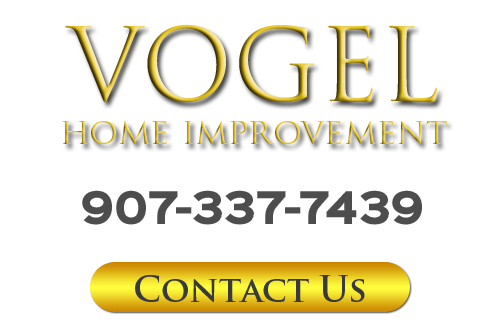 If you want to vastly improve how you and your family use your kitchen, Vogel Home Improvement is here to help. 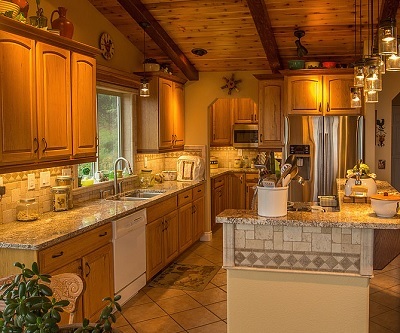 As an experienced Anchorage kitchen remodeling contractor, I have the knowledge and skill necessary to completely transform your kitchen for the better. I have been proudly assisting Anchorage homeowners with all their home improvement projects since 1996. Throughout the years, Vogel Home Improvement has had one simple goal in every project. My objective is to maximize customer satisfaction by providing the highest quality and most customized home remodeling services possible. When you hire Vogel Home Improvement for kitchen remodeling in Anchorage, I will bring this dedication to excellence to task for you. Call Vogel Home Improvement today if you are planning a kitchen remodeling project in the Anchorage area. I would be happy to take your call and to discuss your prospective goals with you. I can answer any questions that you may have about my skills and the home remodeling services I provide. I'd be happy to schedule your consultation to further discuss your kitchen remodeling project today. At Vogel Home Improvement, I am the remodeling contractor you can count on to help you completely redesign the layout of your kitchen. If you are not pleased with the footprint of your cabinetry or the placement of your appliances or if you want to open up your kitchen to the rest of the home, I am the local contractor for the job. With my assistance, you will be able to completely transform and customize your kitchen to your aesthetic tastes and to your functional goals. There is no limit to what can be accomplished through your kitchen renovation with the help of Vogel Home Improvement. The countertops in your kitchen define the look and feel of the living space. At the same time, they are the primary workspace in the area. As such, you can dramatically improve every aspect of your kitchen by installing new kitchen countertops and backsplashes. As a local Anchorage kitchen remodeling expert, I can help you select the best kitchen cabinets, countertops, and other fixtures for you and your family's unique needs. I can then install them in the most precise manner. You and your family are guaranteed to be completely satisfied with the results. If you would like an estimate for kitchen remodeling in Anchorage, AK or nearby, please call 907-337-7439 or complete my online request form.